I’ve made no secret here on the blog that I’m not a naturally organized and tidy person, in fact, I’ve told you more than once that my nickname growing up was “Messy Missy!” Over the years, with the help of my super organized husband I’ve developed a good system for running my home that makes keeping it clean and tidy so much easier. Today I made a video for you sharing my top 5 habits that will help you keep your home clean in less time! Keep cleaning wipes in your bathroom and wipe down the counters while brushing your teeth. You’re there for two minutes anyway, might as well put the time to use! Make Your Bed!! Seriously, every day, as soon as you get up! Run your dishwasher overnight and unload first thing in the morning. During the day immediately rinse dirty dishes and put them in the dishwasher, not the counters or sink. Keep kitchen counters clean, no piles of paper, etc. Have a designated spot for mail and things to address then take the time to go through them once a day. 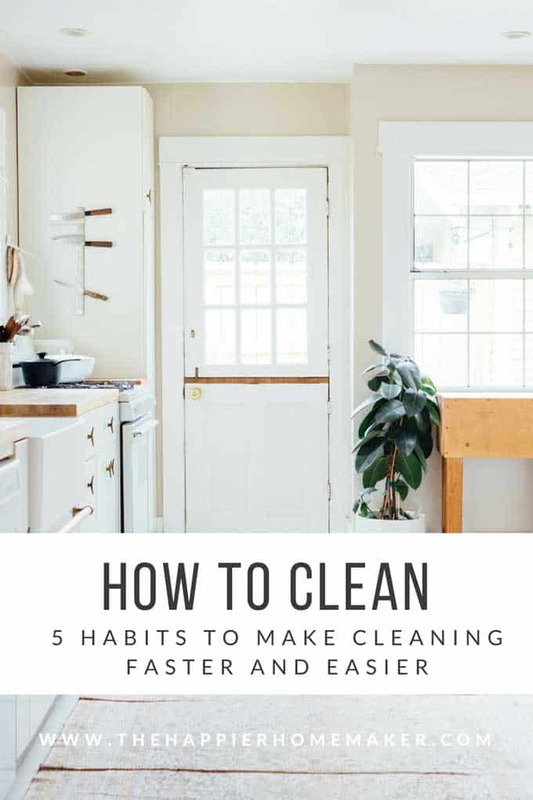 If you can integrate these five habits into your day to day life I promise that keeping your home clean will be so much easier! As I mentioned in the video above, if you struggle with these habits try adding them one at a time. Start this week with making the bed, then add in wiping the bathroom countertops, etc. 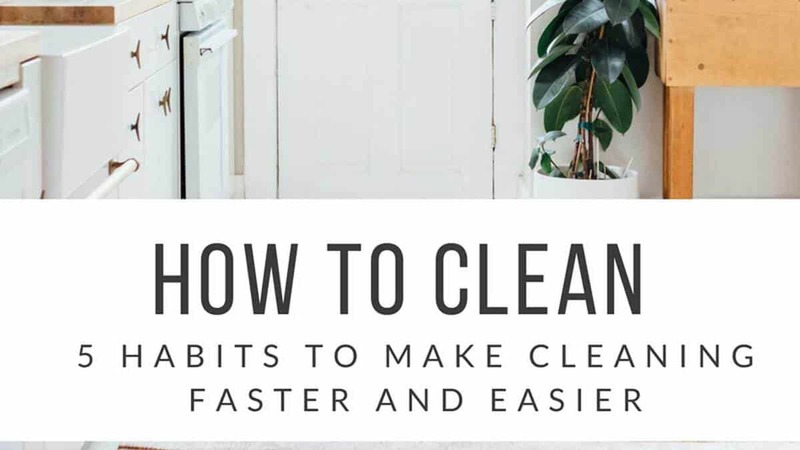 Slowly but surely you’ll get used to these little tricks and find your home looking cleaner and less cluttered! Do you have any day to day cleaning tricks that help you keep your house clean? Let me know in the comments! I’d also love if you could hop over to my channel on YouTube and follow me there, I’ve been making tons of videos over there and would love to have you join me! I hate cleaning so much, but with 2 kids it is essential. I guess I need to follow your tips, seems like they are really will help. Thank you. Great tips! Cleaning your home requires a lot of things. Regular cleaning can make the deep cleaning very easy as you do not need to take any stress about doing it all at once. Sometimes people gets confused regarding where to start from and at that time a few tips can be lifesaving.